When you get a chance to visit Mongolia in the middle of July, you should definitely stay and enjoy the Naadam Festival. You will see the four main games (wrestling, archery, horse racing, and ankle bone shooting) during this period. Here is a short description about Horse Racing. 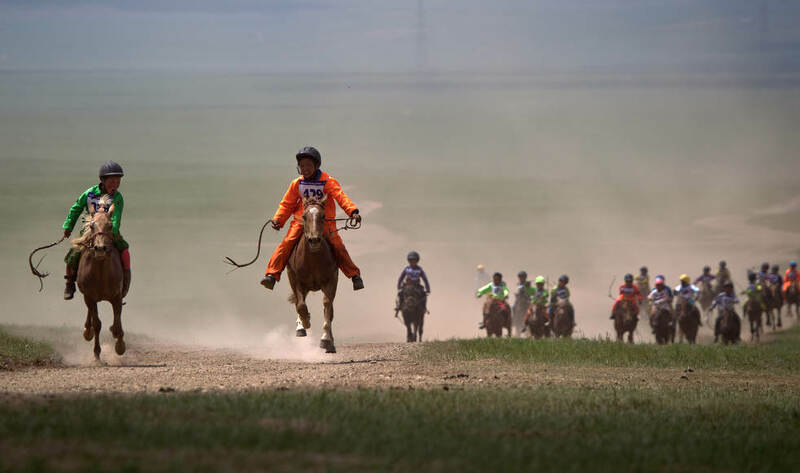 Horse racing is considered as one of the main games of Naadam festival. It is also organized during the ceremonies like traditional weddings, birthday of an elderly, anniversary of aand religious observances and so on. And racing distance depends on horses age, it’s arranged by under the 5 different distances.